This link will take you to the full survey, as well as the announcement of EWM’s #1 recognition. 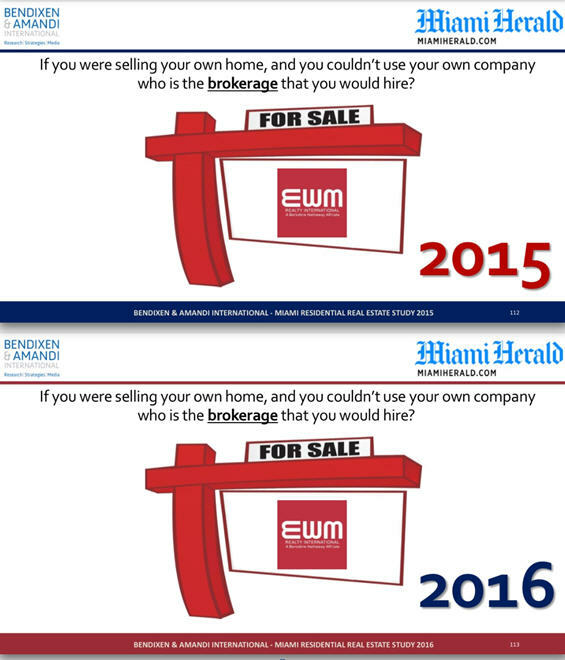 When asked the question, “If you were selling your own home, and you couldn’t use your own company, who is the brokerage that you would hire?”, EWM was the #1 company chosen by the interviewees. Being chosen #1 by those within your industry is probably the greatest honor that any company can receive. We are always ready to assist you with all of your real estate needs.